It is the New Year – may it be a happy and productive year for you all. 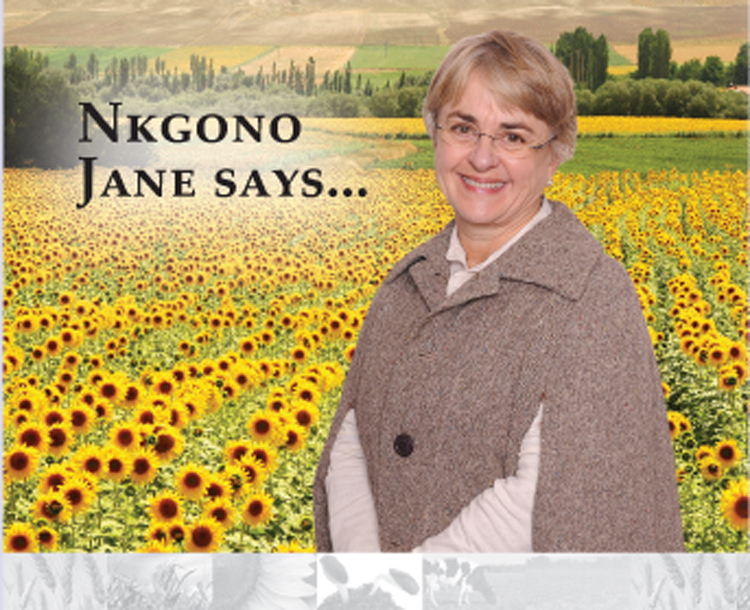 I truly hope that you have all had good rains and that your crops are looking good. Good agricultural practices go a long way to ensuring the crop, but without rain we are not able to prosper. If South Africa is to have a good maize harvest, the prices are likely to fall. It is important that you think about the marketing of your crop. Having a high yield is good but you also want to achieve a good price for the product. If you are uncertain about marketing, it will be good to seek advice. January is often a very hot month and we trust that the maize will not be negatively affected by this. You need to keep scouting for stalk borer and keep your eye on the weeds. You might need to spray the weeds again so as to protect your crop until the harvesting time. Weeds remain a serious threat to our crops and we should try to prevent the weeds from making seed – the seeds that fall into the field this year will germinate next year. Early control of weeds is crucial to success. The training courses will be starting again in February. Gaining knowledge is empowering and you will benefit enormously by attending the training courses. Over the past number of years, we have developed over 34 different training courses. They might not all be relevant to you, but some will be good for you. If you are interested then you can contact your development co-ordinator (his/her contact details are contained in the Pula Imvula). We hope to be able to encourage the younger people to become interested in agriculture as a career. We appeal to you to involve your children in the field activities – but not as a punishment – rather an opportunity to use land to produce food and generate an income. May you and your families be blessed in this New Year!